Astec E.M.S. 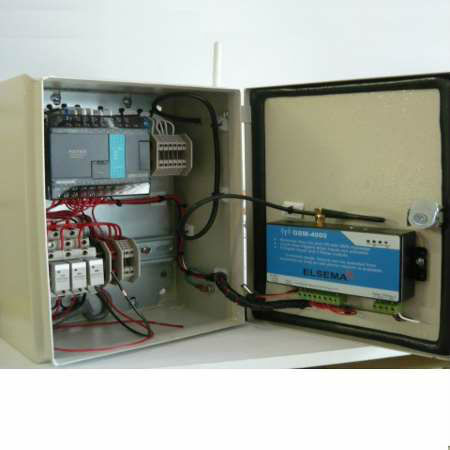 facilitates the wireless starting, control and monitoring of remote systems. The control sets and checks all motor/pump prestart conditions, runs a start sequence and then once the motor is running monitors the run state, running time and ensures that the system run parameters are maintained. AEMS will enter a shutdown mode when either the run time is completed or any of the run parameters fails (loss of prime for a pump or low fuel). All via your mobile phone, you send a message to start and stop the AEMS and you get SMS reply for status of the unit. The AEMS must have GSM network coverage. AEMS is suited for both I.C. and electric motors.